There is much natural and cultural diversity to be found in the heart of one of the country’s most notable and beloved states. 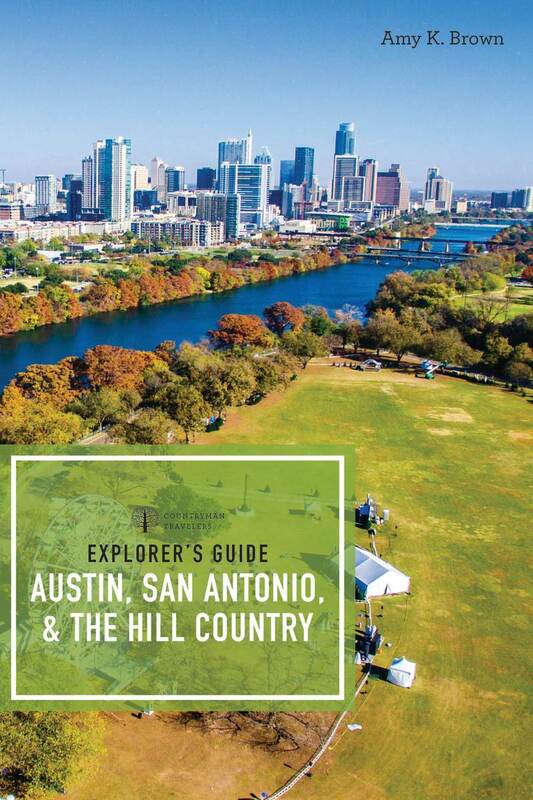 This guide focuses on beautiful, vibrant, and distinct Austin, San Antonio, and the Hill Country. Texas is known for its strong sports teams and lively music scene, but take a closer look at cities like San Antonio and Austin and you’ll find that there’s more than meets the eye. Austin boasts acres of parks, bike trails, and beautiful natural wonders. San Antonio offers a pedestrian-friendly, fun-filled downtown area that celebrates its Native American and Mexican influences with delicious food and unique architecture. Once you’ve had enough of urban living, the Hill Country is the perfect place to unwind. Spend a day at one of this region’s vineyards, fields of lavender, or state parks. With this comprehensive guide in hand, you’ll experience a whole other side of Texas—and maybe more! Amy K. Brown is a seasoned travel writer who has backpacked throughout France, writing for Let’s Go and Rough Guides. Also the author of Backroads & Byways of Texas, Brown lives near Austin.